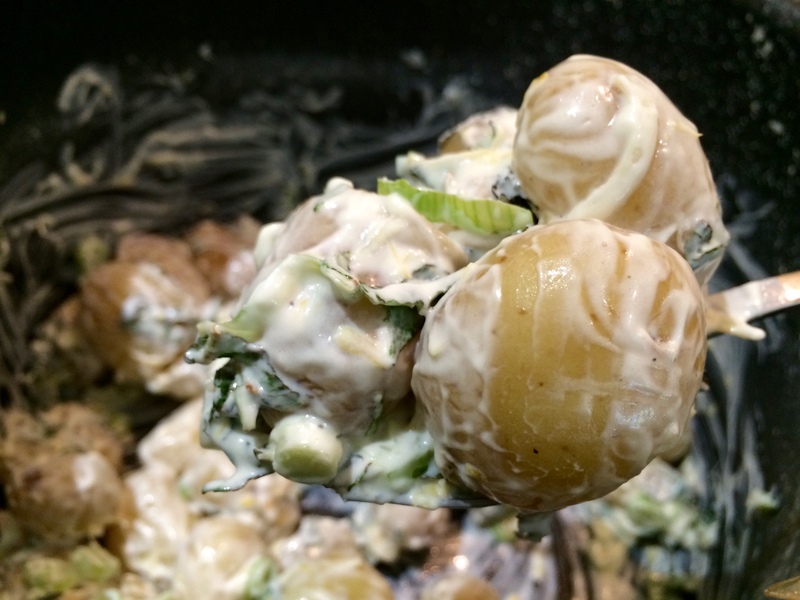 Potato salad is a wonderfully traditional addition to a picnic spread or barbecue, and as the weather in Britain is just about justifying shorts, it’s time to make the most of it. This recipe uses simple, fresh ingredients to enhance the flavour of the Jersey Royal potatoes, which are in peak season throughout May. Tip the washed Jersey Royal potatoes into a pan of boiling water. Cut any larger ones in half so that they’re all approximately the same size – each should be enough for one forkful. Leave to boil for 10 minutes. Meanwhile finely chop the spring onions, mint and zest the lemon. Once tender, drain the potatoes and leave to cool for a short while (up to 20 minutes). 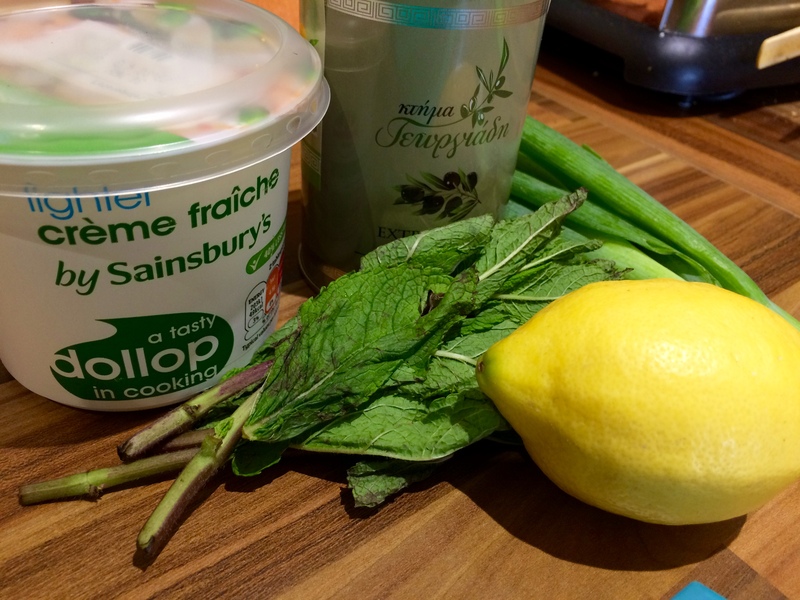 Then gently stir together with the crème fraîche, lemon zest, mint and spring onions. Drizzle over a dribble of olive oil and a good squirt of the lemon juice, before combining once more. Serve still slightly warm, or store in the fridge and eat cool up to 24 hours later as part of a picnic, lunch spread or however you fancy.